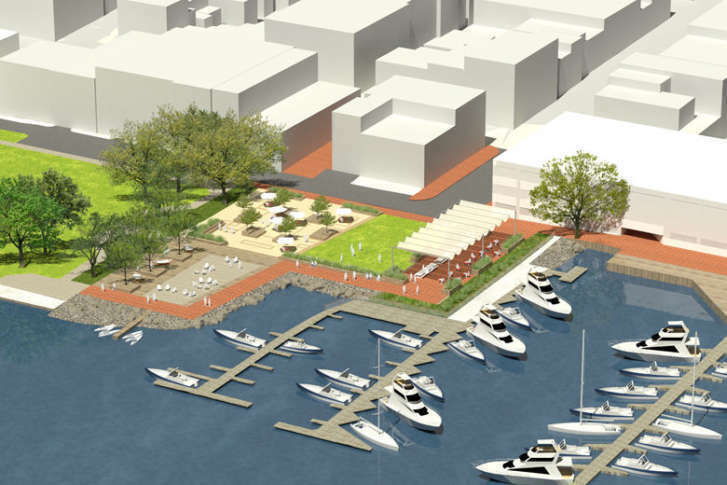 WASHINGTON — Alexandria officially gained possession of the old Old Dominion Boat Club on the Potomac River this week, and demolition is set for early March, clearing the way for a new public plaza in the Northern Virginia city. The Old Dominion Boat Club officially opened its new location nearby earlier this month as part of a land swap deal with Alexandria that included $5 million to relocate the club from its home of more than 90 years. The new public plaza, tentatively called King Street Waterfront Park, at the intersection of the Potomac River and King Street, is designed by OLIN, the designers of Manhattan’s Bryant Park. Construction on the new plaza will begin in April, with an expected opening date sometime in October. The park will be used for seasonal programming, including pop-up markets, festivals, live music and a temporary ice rink. part of Alexandria’s ongoing Waterfront Plan. Old Town’s waterfront is getting another new addition too. In 2019, it will welcome a tall ship as a permanent attraction. The ship, “Providence,” appeared in the Oscar-winning film “Master and Commander” and in one of the “Pirates of the Caribbean” installments. It is a full-scale replica of the Continental Navy’s first warship, which served under General George Washington. The Tall ship will host public tours and history programs, as well as regular public cruises, including a beer cruise in a partnership with Alexandria’s Port City Brewing Co.
Alexandria-based Potomac Riverboat Co. recently expanded its water tax service with new high-speed water taxi service from Old Town’s waterfront to The Wharf, the new waterfront destination in Southwest D.C.